Everyone goes to the gym, exercises or plays sports for one common reason, to become better through progression. No one likes to go workout day in and day out with nothing to show for it, which is extremely difficult for most people today. Between family, work and friends, most people find it hard enough to get to the gym period, let alone to devote 2-3 hours each and every day to doing so. Because of this it is more important than ever to make sure that you are getting the most out of your workout and that means knowing what exercises to do to maximize the gains you get from all that hard work you put in to your routine. 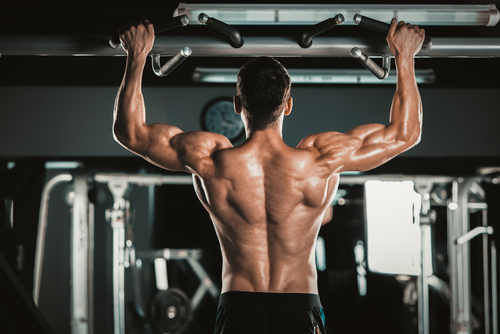 This is one exercise a lot of people dread doing at the gym, but it is one of the best workouts to do that incorporates multiple muscle groups all at once. This makes pull-ups a great time investment for what you are getting out of it. The wide grip pull ups will work mainly your lats, or back, your shoulders, your biceps and your chest. This is one of the best combination exercises out there that you will definitely want to include in your routine. To do the wide grip pull ups, find a pull up or chin up bar, place your hands shoulder width or slightly further apart with your palms facing outward. 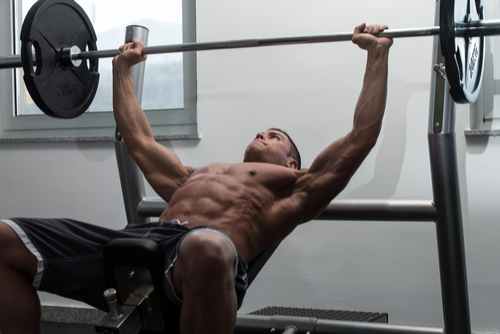 Pull your chin to the bar using a steady motion, not to give you any advantage from momentum. You can vary the grip distance between your hands either further together or closer so that you are pulling up at different angles. This can add some additional variation if the exercise becomes too easy for you. Try to do as many pull ups as you can, ideally you want to do 10-12 repetitions in 3-4 sets each time you perform the exercise. This will be very difficult for a beginner so if you can’t meet those goals just do as many as possible to start and gradually work your way up. Another great exercise that works the entire back, as well as the shoulders and biceps is the bent over row. You can do this exercise with either dumbbells or a straight bar. To perform this exercise, first start with your feet shoulder width apart, holding the dumbbells at your side, or bar slightly in front of you. Bend your knees slightly and tilt yourself slightly forward at the hip. Do so while keeping your back and arms straight. Take the weight and bring it in to your body towards the chest, and then extend back out to complete one full repetition. Do four sets of this exercise in between 15-20 reps to get the full benefit. The sitting military press is one of the best exercises that you can use to get a full arm workout. This exercise works the triceps, biceps, deltoids(shoulders) and pectorals(chest). This exercise can be performed with either a straight bar or dumbbells. Dumbbells will give you a better overall workout for all muscle groups while the straight bar will focus more on your deltoids, so the choice is really a matter of preference. If you do not have great balance or stability the straight bar is recommended. To perform this exercise, you are going to want to find a bench or chair to sit in, preferably one with some kind of back support. The starting position is to hold the weight at chest level, and to extend your arms raising it up, but not to where you are locking your elbows. This exercise should look fluid when you are doing it, with little time spent in the starting position or locked elbows. The triceps dip is another great exercise that works multiple muscles at once, although you wouldn’t think that by looking at its name alone. This exercise works your triceps obviously, but also works your deltoids, and chest as well. Triceps dips are best performed on a machine or on a bench, where the user places their hands on the bench, facing away from the bench. The user then uses their arms to drop their body weight down slowly, followed again by raising themselves back up to complete one repetition.